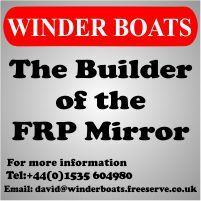 We have a set of building instructions kindly provided by Mirror Sailing Development in Canada. They are not perfect, but have been updated to cover the use of epoxy for resin and additives as an adhesive and fillets, so that makes them the best currently available. In addition to the published instructions, there are some websites, videos etc. created by people who have built Mirrors and these are useful as they often have good tips and ideas. Andy Macintyr - Mirror 70021 "Prime Time"
Richard Larson - Mirror 70369 "Tweedledum"
Phil Rust - Mirror 70362 "Utter Chaos"
Sadly Mark and Shawn's site about Mirror 70407 - http://mirror70407.com has moved, or is no longer available. 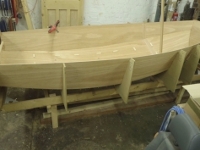 David Todhunter - Mirror 70466 "Wen"
We also have scans of the pages and photographic plates of the original Bell Woodworking Mirror Class Dinghy Building Instructions. Please bear in mind that these were intended for use with polyester resin and Aerolite 306 glue.